Objective: God wants us to wait patiently. Name the people in this story. Did Sarah believe God? Why? Abraham and Sarah had to be patient for God to do what He said. Did God give them a baby? What was the baby's name? Verse: Psalm 37:7a - Rest in the LORD, and wait patiently for Him. And if the Devil doesn't like it, He can sit on a tack! 0uch! Down and over, down some more. That’s the way to make a four! Information : First name written on tracing paper. 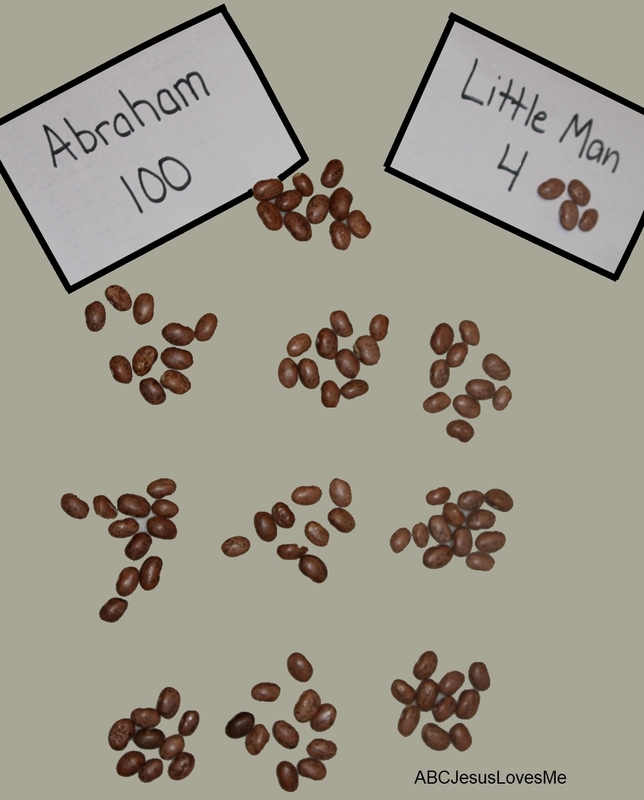 Gross Motor Skill: Sing "Father Abraham"
- Play a card or board game where the child has to be patient and take turns. - Sing "Twinkle, Twinkle Little Star"
- 100 Inch Yarn Star - Have your child help you measure and cut a 100" piece of yarn (yellow preferably). As you measure talk about Abraham's age when Isaac was born (100 years old, Genesis 21:5). Compare your child's height to the 100" piece of yarn. 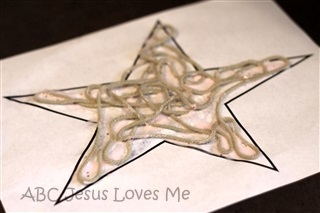 Spread glue over the Star. Wind the 100" piece of yarn over the star. Add the title "I will wait on God." 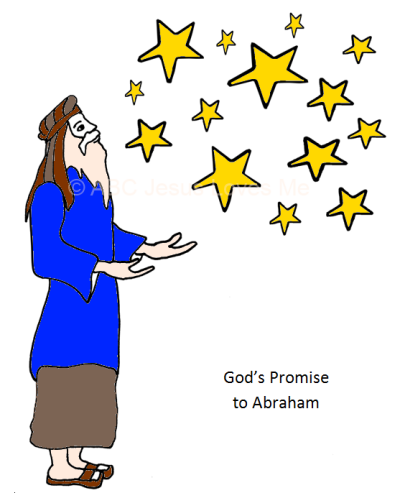 - Color and cut out Abraham on the Abraham's Stars worksheet. Glue to a piece of construction paper. Draw stars or add star stickers. Week 3 focuses on "straight-line letter" H. Start by creating the character using short and long craft sticks and move to writing the characters on the Straight Line Characters worksheet to show the progression of the letters and numbers. Continue to have the child practice writing his name on 1" Tracing Paper. Slowly remove the red dot, green dot, and then box as the child is ready. _____, _____, they both say _____. 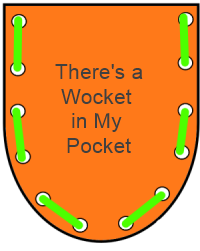 For example - Wocket, pocket, they both say -ocket. - Instruct the child to draw an object. Then draw a character near the object. Name the character a non-sense word that rhymes with the object. Right arm, left arm, right foot, left foot, nod your head! Right arm, left arm, right foot, left foot, nod your head, turn around! Right arm, left arm, right foot, left foot, nod your head, turn around, sit down! 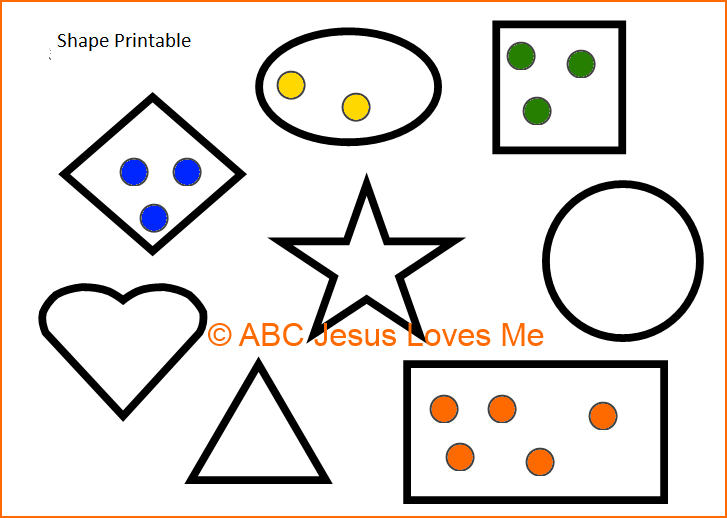 Cut out and decorate the There's a Wocket in My Pocket worksheet. Place together and punch holes along the side to lace with string. Decorate with inspirations from There's a Wocket in My Pocket book.